Hoyer has agreed a contract extension with Total Deutschland for a further five years until 2024. Together with the early extension of contract, Total Deutschland has also commissioned the logistics company to supply fuel to an additional 20 stations belonging to the operator. As well as the Duisburg, Gelsenkirchen, Lingen, Hartmannsdorf, Dresden and Bremen regions, Hoyer Mineralöl-Logistik will also be in action for Total in the Hanover and Bielefeld area with immediate effect. This increases the total number of service stations to be supplied to 240. 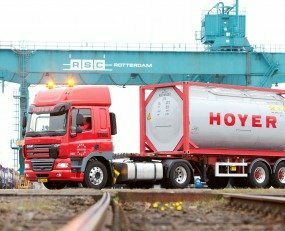 As in the previous arrangement, Hoyer will undertake transport services for Total, including order scheduling and stock monitoring, loading and transport of mineral oil.